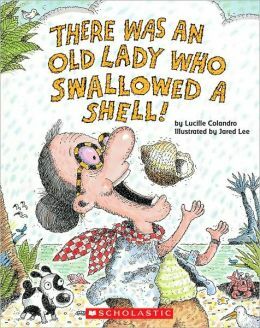 Penelope Anne Cole: Wacky Wednesday - "There was an Old Lady Who Swallowed a. . ."
Wacky Wednesday - "There was an Old Lady Who Swallowed a. . ."
It's another Wacky Wednesday and I'm posting about Lucille Colandro's series of books, "There was an Old Lady Who Swallowed a. . ." These stories are holiday-themed and follow the cadence of the old song, "There was an Old Lady Who Swallowed a Fly." Kids love the repetition and it's fun for teachers, parents, and grandparents to read out loud to them as I did last Friday while subbing. 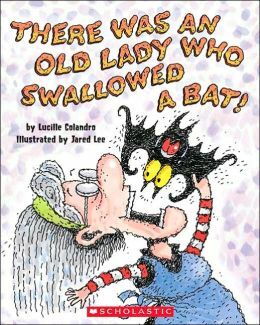 The first Colandro book I'll tell you about is There was an Old Lady Who Swallowed a Rose, illustrated by Jared Lee. 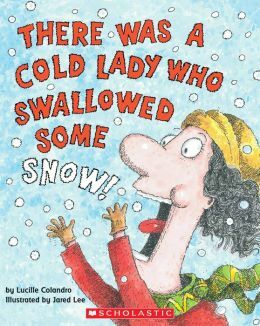 In this book she is swallowing all the parts or ingredients for a -- you guessed it -- a Valentine's Day card! It's a timely book for February that teachers and parents will enjoy reading to their kids for Valentine's day and everyone will be laughing with glee at the wacky and silly images of the artist, Jared Lee. Next we have There was an Old Lady Who Swallowed a Chick, for Easter enjoyment. These are all wacky and fun, also good for showing rhymes and enjoying some silly books together. I don't know if she can come up with any more books, but you know where to find them, if she does. Although it says recommended for ages 3 to 5, I know 6 and 7 year olds would also appreciate these stories, too, especially if you're trying to inspire them to start writing their own stories.